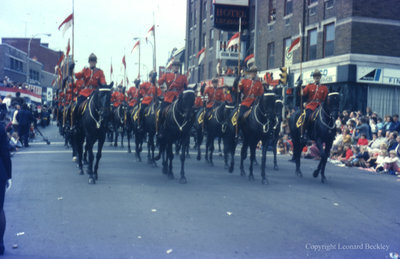 A colour slide of the Royal Canadian Mounted Police Musical Ride in a parade in St. Catharines, Ontario. Parade in St. Catharines, October 1973, Leonard Beckley. Whitby Archives A2014_004_174.